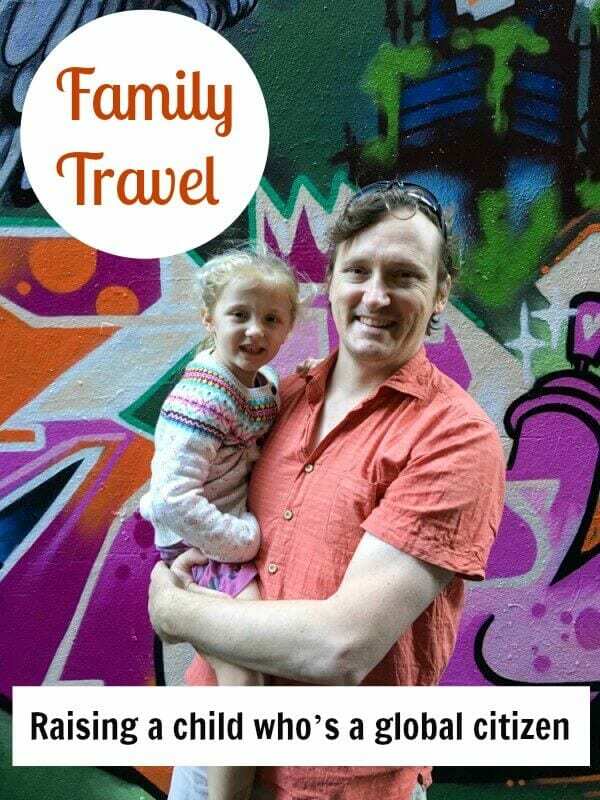 Welcome to our family travel series where we interview other family travellers to show you how they make travel with kids a reality. 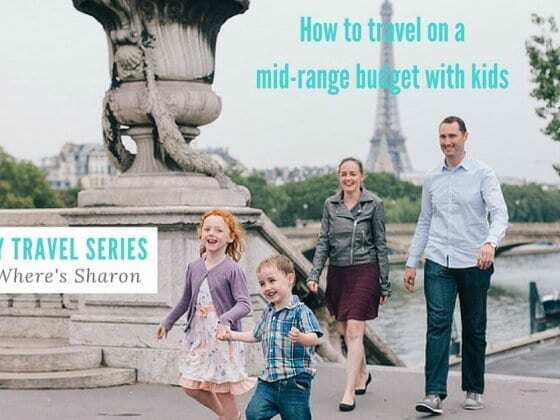 You’ll hear from budget travellers, luxury travellers, digital nomads, long-term travellers and those who fit travel inside a busy family and work lifestyle. How do you fit travel into your family lifestyle? Does your daughter help you plan your travels? What do you dislike about travelling with your kids? 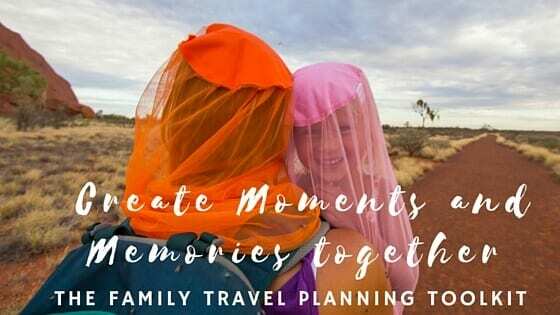 What are your top tips for making family travel work? What are your biggest fears with travelling with kids and how do you overcome them? What are some of your dream destinations to travel with kids? 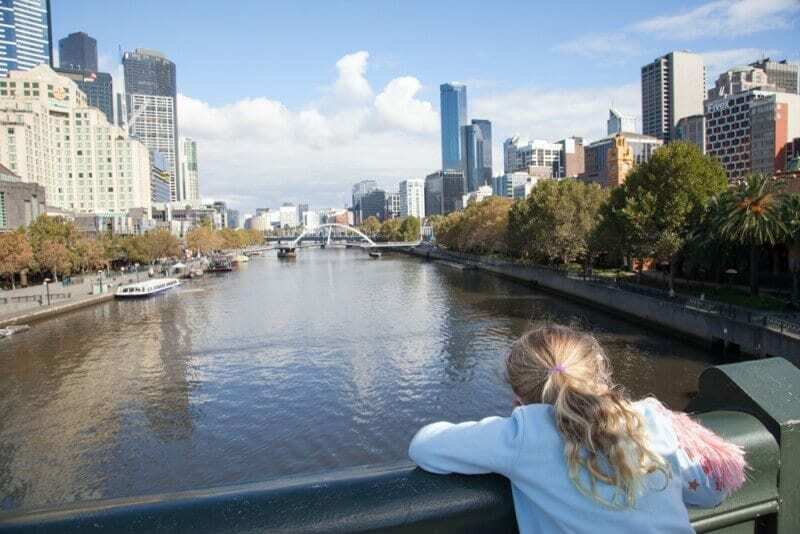 Where do you think is a great destination for family travellers? The key to raising a global citizen is to start them young! Christine has managed to create a digital nomad life that makes sense for the lifestyle they want and what their child likes. Living a digital nomad lifestyle doesn’t always mean you’re always moving. Having home bases in between works well for kids. While my husband and I are both technically digital nomads, having a home base in one spot is what works best for our family. We do local travel on weekends and longer overseas trips once or twice a year. 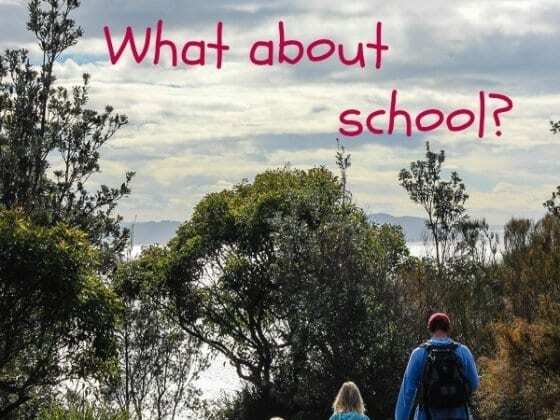 Now that my daughter is in school we plan our longer trips around her school holidays. At the moment, we are planning trips that cater to our child. When we’ve tried to see things that my husband and I were keen on, but she’s too little to be interested in, it hasn’t been terribly satisfactory for any of us. As a result, we have revised our travel plans according to our daughter’s age to get the best family travel experiences possible. I do the majority of the planning. 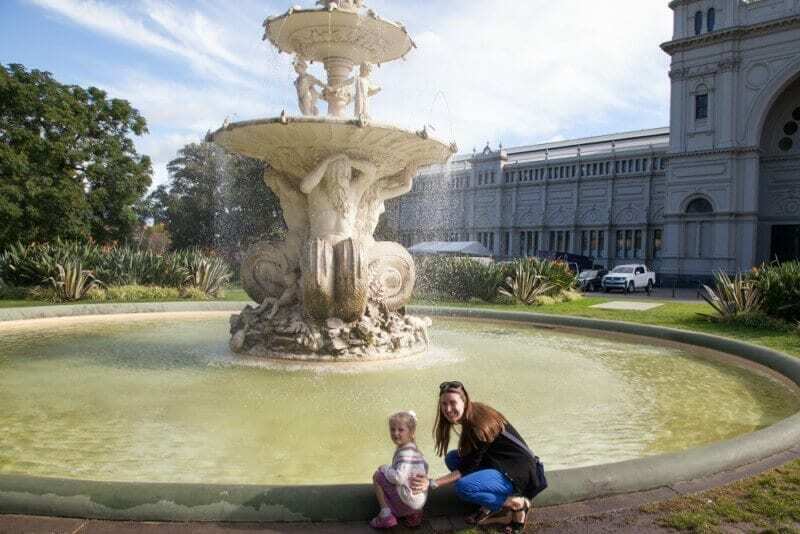 Usually, I’ll find somewhere I think my daughter will adore and that we will also enjoy seeing as a start, then delve into logistics and details. I use a lot of travel blogs and sites for information when planning our trips. I find blogs particularly valuable as they are an honest account of someone’s experiences in a place and usually list what their kid enjoyed and didn’t, and have tips for getting the most out of it. Since we are traveling with a small child I like to have everything organised in advance to make it as stress-free as possible. I don’t have time anymore to look up flights and so on, so I use an excellent travel agent to book the logistics for me. Our daughter thinks it’s normal to travel as much as we do. She’ll drop into conversations, “Oh yes I love the carousel in New York”, or talk about “that amazing toy store in London”, to strangers who think she’s making it up! As she gets older I think she will realise that it’s a privilege to travel so much and hopefully appreciate seeing the world with us. Not yet – she’s still too young. I do ask her what she’d like to do when it comes to activities, but usually, I know what kinds of things she’d enjoy. She’s taken to waking up every day and asking “Where are we going today?” in anticipation of a new adventure – even on regular school days. We’ve had some horror flights, particularly when my daughter was a baby and small toddler. A flight from Sydney to Los Angeles where I think she cried the whole time at four months old, and another from New York to Hawaii (12 hours) where she was only one and didn’t sleep the entire time. She ran up and down the plane aisle like an unholy terror, stealing snacks from the hostesses and generally causing chaos. That was an exhausting flight. We lower our expectations and plan to do and see less over a longer period of time. I also make sure that we have rest time in our day. When we do too much back-to-back we all get exhausted quickly, so particularly when we are travelling for extended periods we find it important to leave time for doing not much rather than trying to see and do everything. I love seeing my daughter growing up with the entire world as her playground. 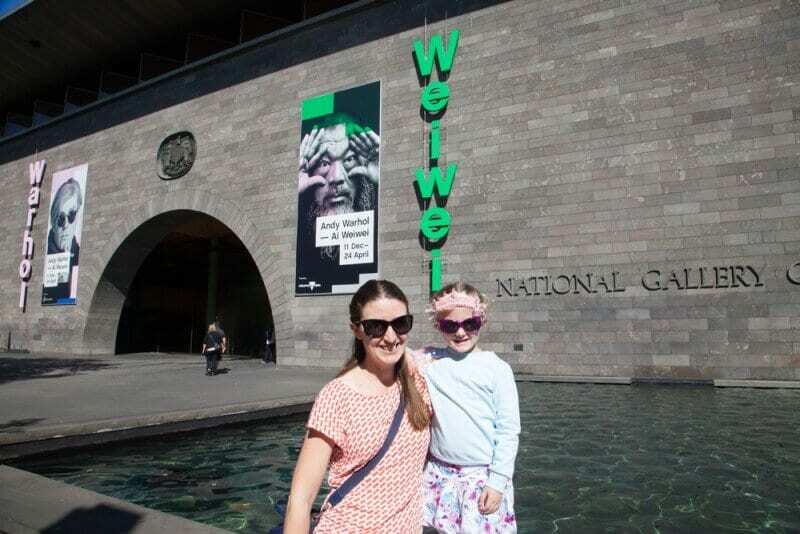 She belongs equally in New York, where she was born, and Sydney where she lives now, and even at age four talks about both her “homes”, her friends and places she enjoys in both. She understands more than one language now, which has also led to her picking up even more words and phrases when we travel, and slipping in words in other languages when she doesn’t know the English equivalent. I love that as a result of being immersed in so many cultures that nothing phases her, or is “different” and needs explaining. My girl is growing up to be a true world citizen. I love that as a result of being immersed in so many cultures that nothing phases her, or is “different” and needs explaining. My girl is growing up to be a true world citizen. It gets very tiring. My daughter is high energy and we have to be on the go a lot when we travel (and when we are at home, too!) so I don’t enjoy feeling extra tired with the combination of jet lag and the general tiredness that comes with travel. Jetlag is always awful. With a kid, it’s even worse! Stay in each location longer than you think you’ll need to. Minimise flights and travel connections. I do worry sometimes about losing my daughter in crowds when we travel, but now she is getting older it’s not as much of a concern. I try not to think about what might happen and focus on how I can best manage a situation when I’m in it. I have loved travelling since I was a child myself, and my wanderlust didn’t end when I had a baby. My plans have adjusted to accommodate my daughter, but we travel for our own life fulfillment as well as the benefits to her. Faced with a choice of not travelling or travelling with our child, of course, we choose to continue our world adventures with our small sidekick. It might not be easy at times, but it’s always worth it. My daughter was born and spent her first three years in New York, so my experiences there lead me to say I think New York is a fantastic place to take kids. We also love Hawaii and really enjoyed our time last year in Barcelona and London as a family. We are going to Alaska next year, and I can’t wait to visit Africa when my daughter is a bit older. I’d love to visit Antarctica but not sure I could cope with the sea sickness! My husband, daughter and I all really love animals, so anywhere that we can see beautiful creatures in the wild is high on our list. 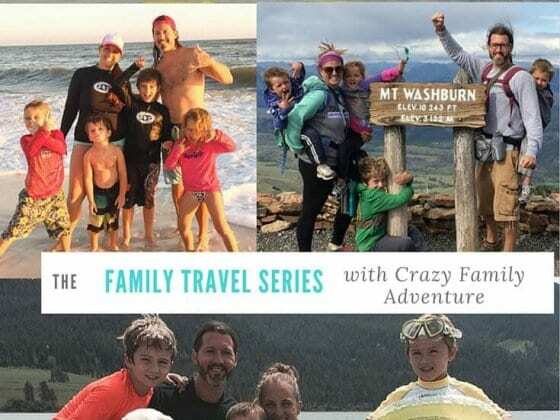 I share tips on family travel through my website, Adventurebaby.org, and on social media: Facebook, Instagram, Twitter and Snapchat. This is such a great article and a truthful insight into traveling with little ones.